"You get what I got — and no more!" For a faltering company, a distressed sale is often the best way out. But selling a distressed business is not easy and very different from selling one that is healthy and solvent. Today's newsletter explains why, and offers a number of specific recommendations and guidelines for those in search of a buyer. Often, the best way out for a faltering company is a quick, distressed sale. But what exactly is a “distressed sale?" There is no formal definition and each case is unique. That said, in most of these situations, a distressed sale occurs when the sale price of the business is expected to be less than its total liabilities and/or the business is experiencing negative cash flow with no quick fix available. A lack of time to conduct a full blown marketing process. Poor records, reporting and computer systems. An inability to pay all creditors from the sale proceeds. Nothing remaining post sale to back up representations and warranties for the buyer. The consequences of this are that the sale process must be expedited and buyers will have little time or information to conduct extensive due diligence (and no effective recourse should things go wrong). Expect a short sale process. The time between retaining an investment banker and signing a letter of intent (LOI) is often under 60 days. Approving an Asset Purchase Agreement (APA) and closing will sometimes occur in a matter of a week or two, rarely more than 60 days. For example, one of my clients signed a LOI 46 days after retaining the banker and will likely close three weeks after signing the LOI. Total elapsed time: 67 days. Why so fast? Because typically, the company is burning cash during the sale process. Look for the ideal buyer within your own industry, particularly a firm that can fund the purchase without new equity or bank lines. Why? First, because raising capital, be it an entrepreneur from local investors or a private equity fund with a capital call, takes time. As do bank loans. Second, because intra-industry purchases may offer particular advantages to a potential buyer. In one bankruptcy case of mine, for example, my client was in the scrap metal business and the buyer was its largest customer, a steel mill. The buyer shut down the business after the sale. With fewer buyers of scrap, prices plummeted dramatically, reducing the mill’s raw material costs. Now that is a way to increase profits! In another case, the buyer was the dominant competitor in the market and my client was the market’s preferred alternative and only other competitor of consequence. When the deal closed, the buyer effectively knocked out a competitor, raised prices and landed most employees in what was a very tight labor market. Also, as the portfolio company of a private equity fund, the buyer had sufficient cash and credit lines to fund the purchase (without new loans or a capital call from the fund’s limited partners). The losing bidder was in an adjacent industry but couldn’t raise funds fast enough. Of course, the ideal rarely happens. If necessary, allow the buyer to fund over time (provided proceeds at the initial close exceed liquidation value). But don’t agree to earn outs, large escrow hold backs, lengthy seller notes and so forth. These will just become a source of litigation and you won’t have funds to fight. Muddled title to real estate connected to the sale. Get this cleaned up. At a minimum, do a title search to identify any attachments, liens, and so forth. Old UCC filings on equipment can pose a similar problem. Environmental issues. Consider concerns specific to your business as well as those related to prior tenants in your buildings or neighbors. In the scrap metal case mentioned above, there were environmental issues everywhere, including the company’s crown jewel sitting atop a Superfund site. But the buyer was comfortable with environmental issues and the polluted site was simply excluded from the sale. Sometimes, lawyers for the buyer demand personal or other guarantees against claims from creditors, etc. Just say no. Those risks should be taken into account with the price. It’s important to get potential buyers comfortable with the risks quickly. Walk serious tire kickers through the list of creditors early in the process. Work with your secured creditors throughout the sale process. They must consent to the sale of any asset upon which their liens are attached. Understand liquidation value — that is your minimum acceptable bid. It may be lower than you’d like, but a bid for liquidation value is better than liquidating yourself. Don’t fuss over the marketing materials (time is of the essence), but do put thought into identifying potential buyers. Look for competitors in your market, competitors in geographically adjacent markets and businesses in related industries that understand and deal with yours. Avoid leaving assets in the business for angry creditors to attach. Some such assets can be assigned to secured creditors that will have a deficiency after the sale. But things that lead to litigation are bad, such as earn outs, escrow balances and so forth. Selling a distressed business is not easy and very different from selling one that is healthy and solvent. Doing so, however, often leads to a better recovery for creditors than liquidating. Get the right help from day one and remember the simple essence of any LOI or APA you sign: You get what I got — and no more! Click here to visit our newsletter archive. Howard Marks , co-founder of Oaktree Capital, a leading distressed investor, recently wrote another of his now famous letters to investors. His latest is titled, “ Political Reality Meets Economic Reality ,” in which he bluntly addresses the consequences of tariffs and raising the minimum wage. Goodrich & Associates is a management consulting firm. We specialize in helping our business clients solve urgent liquidity problems. 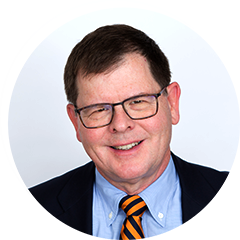 Our Founder and Principal, Charlie Goodrich, holds an MBA in Finance from the University of Chicago and a Bachelor's Degree in Economics from the University of Virginia, and has over 30 years experience in this area. [email protected] to your address book today. Goodrich & Associates respects your privacy. We do not sell, rent, or share your information with anybody. Copyright © 2019 Goodrich & Associates LLC. All rights reserved. For more on Goodrich & Associates and the services we offer, click here .